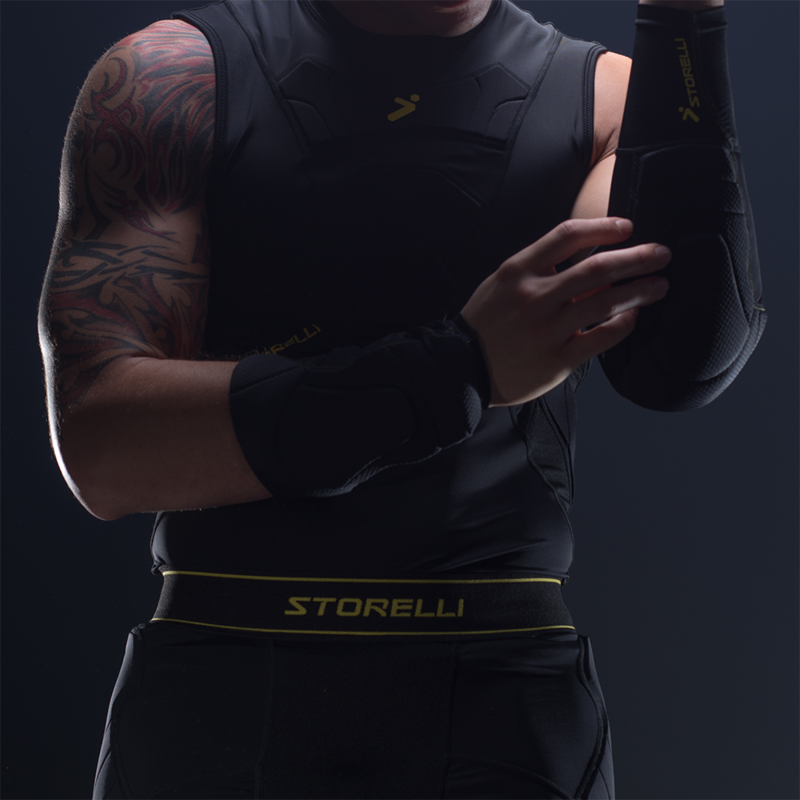 Yes, this arm guard can be worn as a base layer or over your favorite Goalkeeper jersey. The anti-slip lining works best when it has contact with the skin. 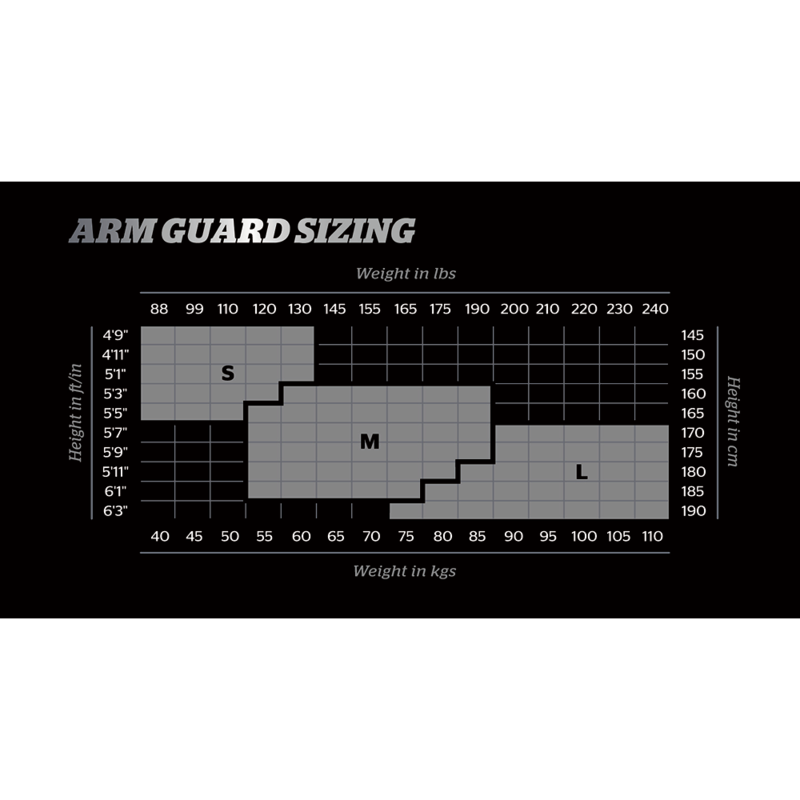 These arm guards are designed to fit seamlessly around your arm like stealth armor! Storelli's awesome Poron padding offers high resistance against impact and abrasion, whilst being extrmemly light weight. Poron is a military grade foam that has been combat tested. It can be found in military grade helmets. It is extremely light weight, flexible and offers resistance to high impact contact. 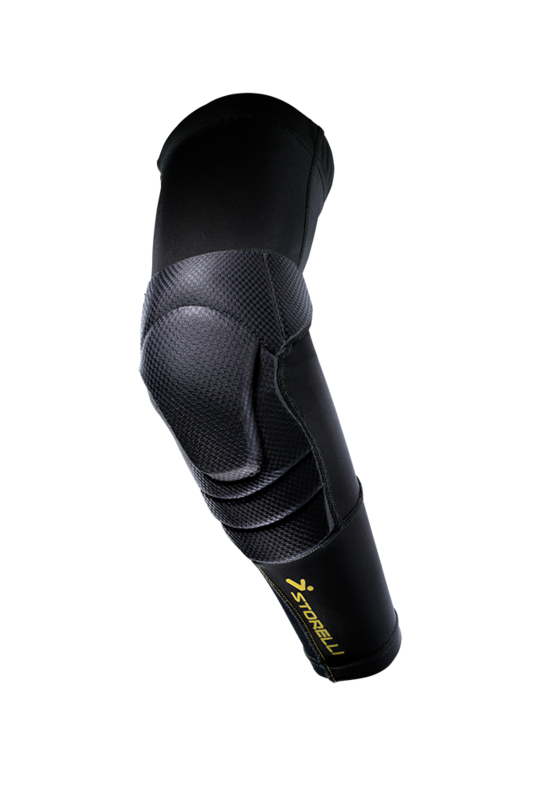 The foam is anti microbial to combat odor and very sleek so it can be worn seamlessly with other equipment. Great elbow protection for my daughter. Futsal goalie is a whole different dive experience. Glad she has this protection. Comfortable fit. Light weight. Never noticed them all during the game. Excellent protection even on the hard wood floor playing futsal.